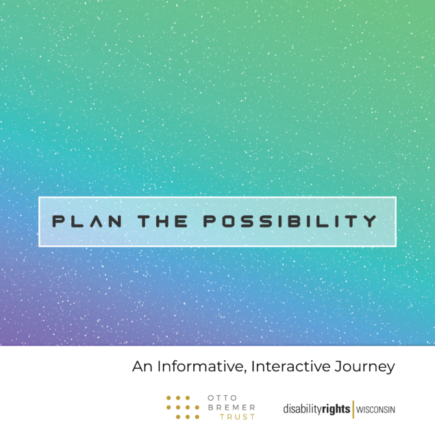 Disability Rights Wisconsin is proud to announce the rollout of the Plan the Possibility project. This project is designed to promote a positive cultural change of higher expectations among transition-age students and those who interact with them. It includes online social media clips and profiles of transition-age students, an interactive workbook, and the video, “Plan the Possibility.” Some of these items are now available on our website! Our full-length video will become available early 2019. Visit the Plan the Possibility Page. If you have more questions about this project, contact Advocacy Specialist Jo Pelishek or by phone at (715) 736-1232.